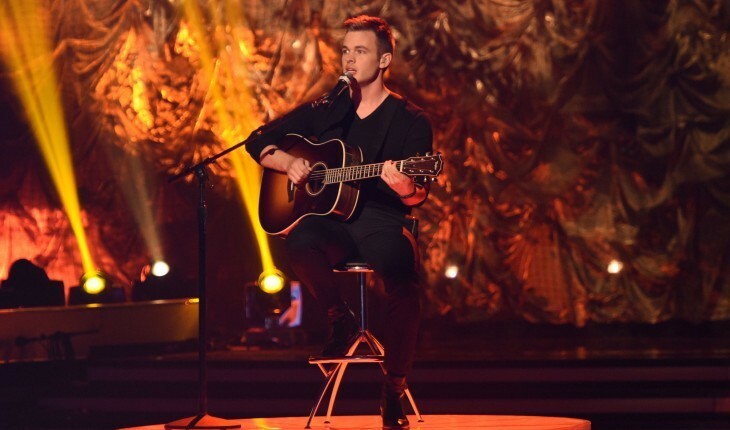 The American Idol season 14 runner-up Clark Beckham first started singing in a gospel trio with his parents when he was 8 years old. Now, the 22-year-old finishes the reality TV competition with a platform large enough to become as famous as season 2 runner-up Clay Aiken…or as forgotten as previous contestants who have had no luck gaining fame after the show. In our celebrity interview, Beckham says he wants to model his career after singers like Bruno Mars, Robin Thicke, and John Mayer, although he plans to take his own approach to balancing his career and relationship and love life. Beckham leaves the reality TV show with fond memories of being a finalist in one of the top vocal competitions in the country. On Tuesday night, the singer had one of his best performances with “Ain’t No Sunshine,” leaving the judges and America very impressed. Jennifer Lopez commented on the song by asking who Beckham was singing to because of the passionate performance. “I remember her asking that, and I was like, ‘Oh Lord, do not ask me that,'” he shares. You can keep up with Clark Beckham on Twitter @ClarkBeckham and on his website, http://clarkbeckham.com/!